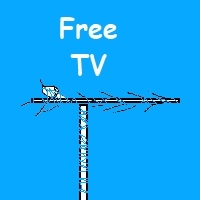 How to actually get FREE TV Broadcasts. 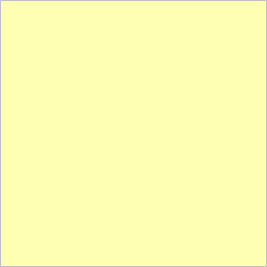 signal, that is FREE on the OTA broadcast--nice and sharp--not compressed like some cable companies. It is nice to have a wide selection of TV programs to choose. But did you ever write down what channels you actually watch? When I did this I was pleasantly surprised. Most of the channels I watch are the broadcast channels like CBS, ABC, NBC, CW and Fox which are broadcast FREE over the air (OTA) and FREE in HD. Cable news channels (e.g., Fox News and others), weather (local and national), and some non-broadcast channels can be viewed on websites. The charge for my premium channels (HBO/Showtime) increased in price, but I find myself watching them less because I really don't see many new movies that I don't have on a VHS tape or DVD. Also, I can find most of them for FREE on the Internet or for a small fee on one of the reputable online streaming services or a DVD-by-mail service. , and getting free TV. Remember on the first page of this article: Nothing is completely free. Of course you do need a HDTV or an older analog TV with a converter box to convert the digital broadcast signal to one your TV can use. Also, you will need an antenna to receive the broadcast signal and a coax (cable) to deliver the signal from the antenna to your TV. Most of these items are relatively inexpensive (for basics), and you can recoup your investment by what you save by eliminating the cable or satellite fees! 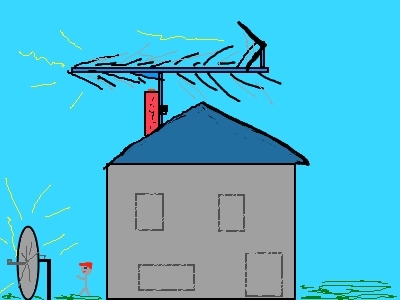 If you live on a hill and/or you are close to a broadcast transmitter, you may be able to receive a signal with a small indoor antenna. You can check what TV channels you should be able to receive at your specific address, and learn what type of antenna you will need--before you make an investment. 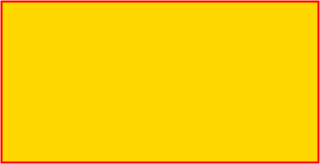 For websites that check for stations (channels) in your area, see Station Locator coming up. Don't worry about a large ugly outdoor antenna [designed for analog signals] like your parents or grandparents may have had. Just like the satellite dishes have shrunk from 6 footers to the smaller dish you now see mounted on houses, smaller modern antennas can receive excellent UHF and VHF digital signals. Some can be mounted in your attic and still receive a good signal, depending on some variables. 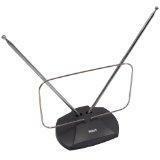 If you still have one of those old antennas, you may be able to still use it to receive the OTA digital signal. 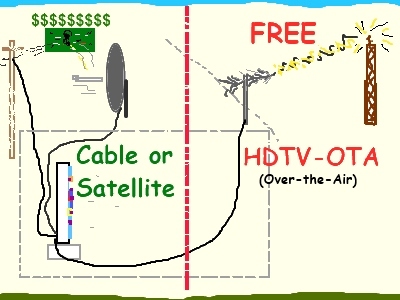 Don't be fooled by the ads that say you need a special HDTV DTV antenna. Your old antenna (if in decent shape, has good clean connections, and has the correct elements) may be able to receive these signals.